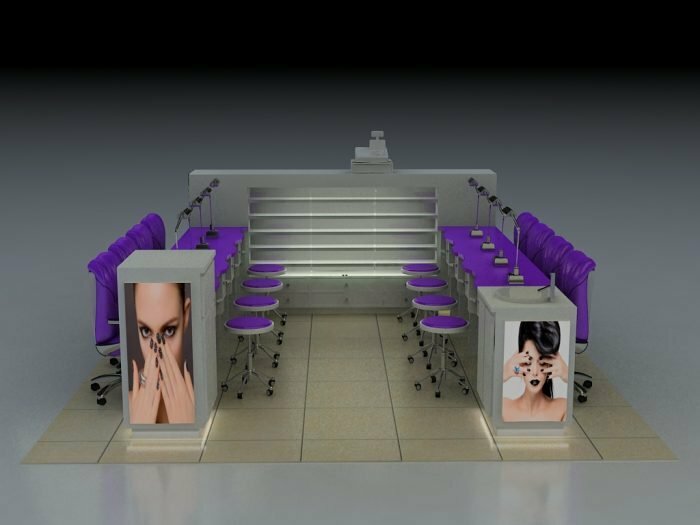 A practical nail bar kiosk, a purple fashionable nail bar kiosk, a luxury nail bar kiosk. Hello, dear friends, welcome to our website, how is every thing going? 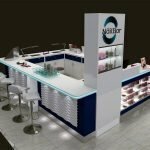 do you need a nail bar kiosk? if you need, I want to introduce you a practical nail bar kiosk, I believe you will like it. let us see its some images first. 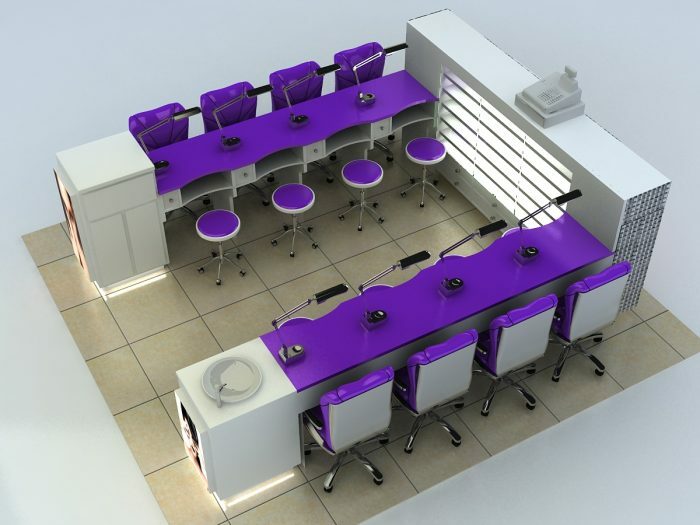 we can see, the nail bar kiosk’s very simple but practical, once inside, we can feel the kiosk is extremely clean, with four manicures on each side, the stool and table are purple, very beautiful, what’s more, if you want to put some logo on it, we will try our best to put them on it. the nail bar kiosk has exqusite workmanship, all right specification, perfect layout, durable material, besides, we can according to your need, most of all, our nail bar kiosk very popular in Los Angeles. OK, let us see its detailed descriptions. Materials list: MDF, wood and so on. Size: 5m by 4m and we can custom-made it for you. Color: purple, white and customed. 1, The besign of our nail bar kiosk. we can make our design according to your need, you can tell us the color you like, the size you want, the style you want, we will make the design according to your ideas. if you have any question of our nail bar kiosk, we will correct it until you satisfied it. 2, The price of our nail bar kiosk. one, we will not deceive you, so we will not sale too expensive, we have lower price than other companies, you should believe us. two, we are professional in this field since 2006. Manufacturing in BUILK lower our material cost. Comparing with the industrial company, we can provide more competitive price. 3, what should you do to get our nail bar kiosk. 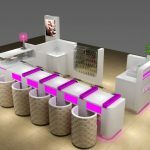 first, contact us, we will respond you at first time, we will according to your ideas to make our nail bar kiosk’s design. 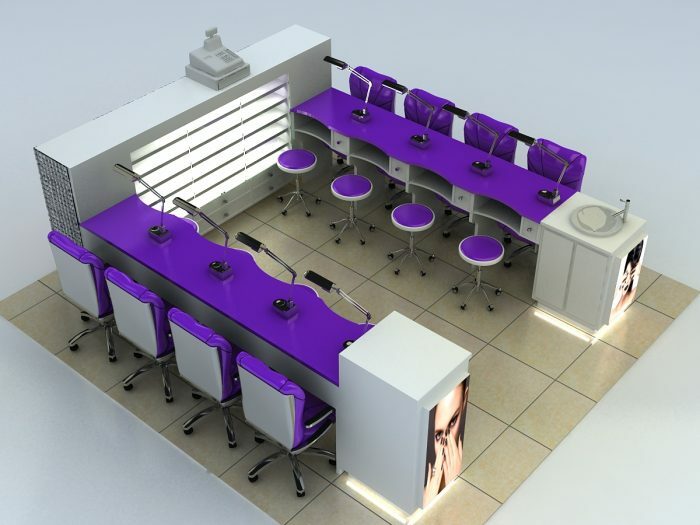 second, if you have not any question with our nail bar kiosk,we will begin to make it, if you have any question of our nail bar kiosk, we will correct it until you satisfied our design, then we will begin to make it. third, you need to wait some time, we need to some time to make it, so you may wait some time before we finish it, but we will take photos to let you know the production. 4, about us: we will give you patient service, we will respond you at first time, we will give you the best product, you can sent messages to us at any time, we will try our best to let you satisfied us, we will not deceive you, please trust us. Finally, thanks for your reading, if you want to know more information af our nail bar kiosk, please contact us, we are looking forward to your inquiry.